Volumes / Chapters8 / ? © 2015 Sakuya Amano, Gentousha Inc.
Yuzu is a brand new employee at Konohanatei, the hot-springs inn that sits on the crossroads between worlds. A simple, clumsy but charmingly earnest girl, Yuzu must now figure out her new life working alongside all the other fox-spirits who run the inn under one cardinal rule—at Konohanatei, every guest is a god! Konohana Kitan follows Yuzu’s day to day life working at the inn, meeting the other employees and ever-eclectic guests, and learning to appreciate the beauty of the world around her. 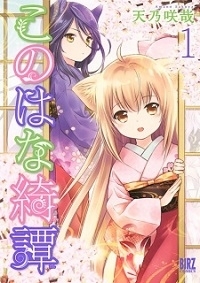 On this page we would like to show you an assortment of various merchandise for the manga “Konohana Kitan.” You can support aniSearch by entering new merchandise into our database, using our entry form. You thought deeply about the manga “Konohana Kitan” and now you think it’s time to put these thoughts into words and to do so in a well-structured form? Then now is your chance to be the first to share your review about “Konohana Kitan” with our community by creating a review thread for it and posting your review there. Use the button below to quickly create the thread! You want to share your opinion on the manga “Konohana Kitan” with other members of our community, but you don’t really have enough to say about it to fill a whole review? Then don’t hesitate to create a comment thread for “Konohana Kitan” using the following button and be the first to share your thoughts! Release Date: 29.12.2014 ‑ ? Volumes / Chapters: 8 / ? 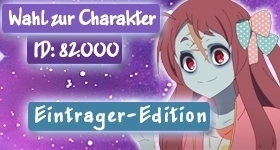 Release Date: 24.07.2018 ‑ ?